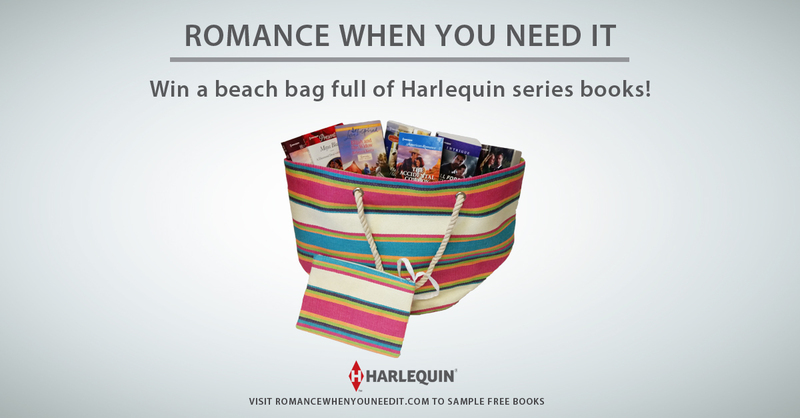 Win a beach bag full of Harlequin series books! 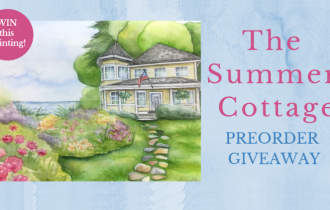 Readers, beach season is right around the corner and we want to help you prepare with this awesome sweepstakes! 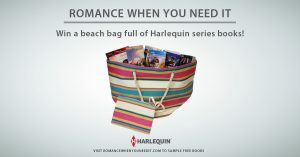 You can enter to win a beach bag bursting with Harlequin series romances, right here on the blog! 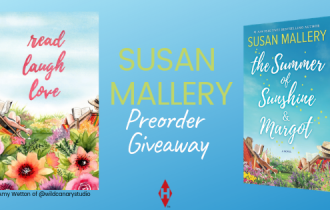 To enter to the giveaway, leave a comment below answering this question: What is your favorite thing to do on the beach? Swim? Play with your kids? Build sandcastles? Or just sit in the sun and read? 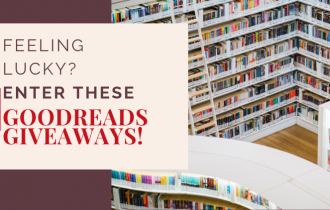 Whatever it is, you will be prepared with plenty of reading material and a beachy bag to tote them in if you’re the lucky winner. Rules: Open to residents of the US and Canada, excluding Quebec. 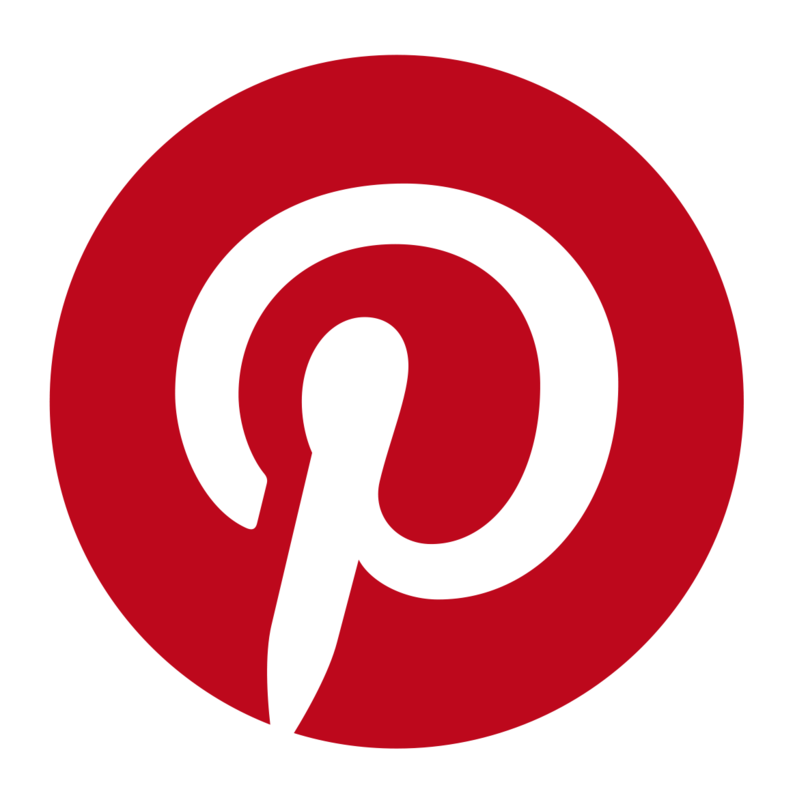 Contest closes May 23, at 11:59 p.m. ET. One (1) winner will be selected from all eligible comments and announced here on or around May 24. For full official rules, click here. UPDATE: The giveaway is now closed. Please check the comments to see who won! 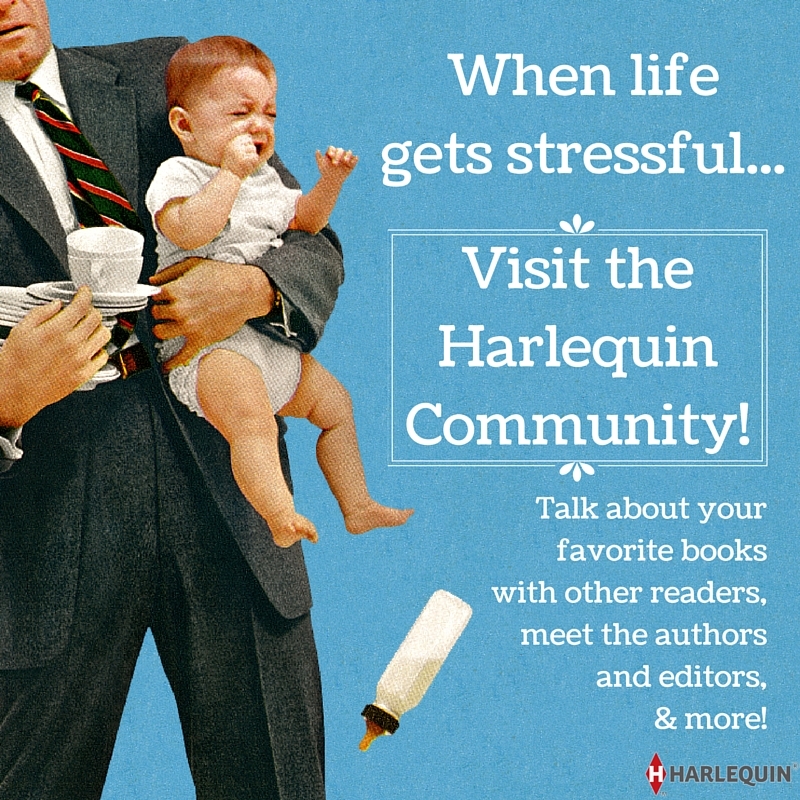 As an extra treat, don’t forget to visit www.RomanceWhenYouNeedIt.com and sign up for Harlequin News emails to get 17 free ebooks right away! The beach is one of my favorite places. We can spend anywhere from five minutes – to all day, and I’ll be happy just as long as I get to be there. At the beach I love to play with the kids, swim, build sand castles, take walks, and then just lie on a blanket and read. And read. And read. While the world goes on around me. I can’t think of a better, more relaxing way to spend a day. Sigh… Guess I know what I’ll be doing tomorrow. Kids! Pack a bag! I love to sit and read and soak up the sun. It had been a long time since I was at the beach. Last week after a cruise on Norwegian Escape, I spent a couple days at a Florida beach playing in the waves with my 10 year old nephew. He dove down and collected shells, rocks, and coral off the bottom. As he gave them to me I told him about them in science terms. Later we divided our treasures and now back at home I have some wonderful beach memories. I love to lay on the beach reading a good book and listen to everyone having a good time. I always bring a book to the beach, and I mean *always*! I live in Iowa so I don’t get to go to a proper beach. On the rare occasions that I have been to as close to we have to one here I have divided my time between swimming and reading. My favorite thing to do on the beach is sit back, relax and take in the sun! My favorite thing to do at the beach is build sandcastles with my daughter, collect shells, and take long walks. After she is tired out, then I can relax with a good book! I have two favorites…if I am by myself, I love to lay in the sun with a good book and a wine cooler!! Best day ever!! If I am with my little one, I love exploring the beach, looking for little crabs and shells! That is so fun too!! I love the beach so much!! The contest is now closed and the winner by random draw is…Glenita! Congratulations! 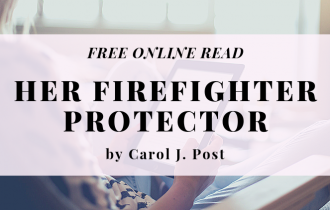 Please check your email for a message from me. My favorite thing to do at the beach is find a quiet spot,set up my umbrella and chair and pullout one of many good Harlequin books that I ordered just for the trip. When i’m at the beach, i’ll find a nice shady spot and read my harlequin collections. My thing to do on the beach is to fine a nice shade spot sit and read for a couple of hours, then take a dip in the water then go right back to read.